Extreme weather conditions and excessive use can all result in wear and tear of your driveway. By maintaining the look of your driveway, it will add to the overall look for your home. Our experts are experienced enough and have completed a number of projects related to driveway maintenance. Ajrin Construction Inc is just a call away to repair your driveway. 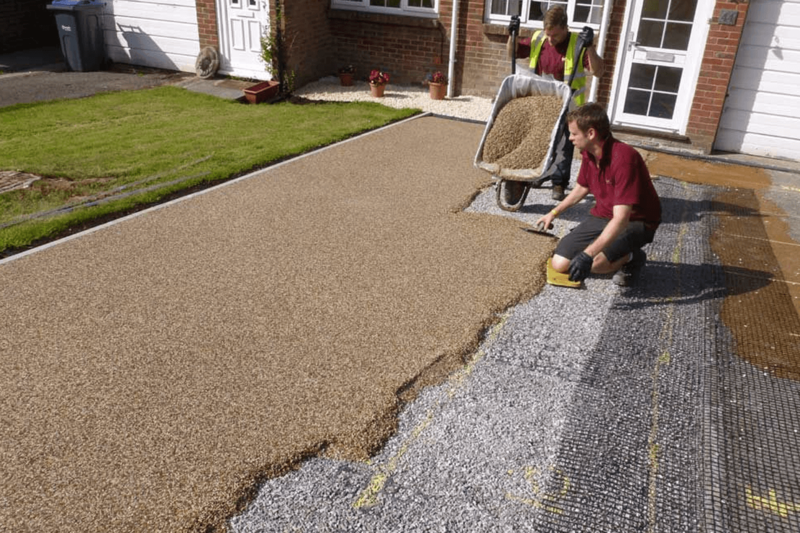 Our experts conduct soil tests in order to determine whether sub-grade is suitable for re-installing the concrete driveway on existing soil or not. If there’s need for soil test, then it is important to excavate the soil either by replacing it with a new base or by structural material. The target for any driveway owner is to obtain maximum driveway usage before the need arises to completely remove and replace it. Generally, maintenance should be conducted every 2 to 3 years! Call us today to get a free estimate. Ajrin Construction Inc is a fully licensed, Insured Home Improvement Company, and one of NYC’s leading general contractors. We cover a substantial market area of New York City, Westchester County and City of Yonkers.